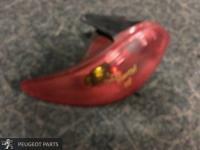 PEUGEOT 206 TAIL LIGHT FOR SALE. THIS TAIL LIGHT WILL FIT A PEUGEOT 206 HATCH. FITS MANY 206S DATED IN YEARS 2001 TO 2006. WE HAVE SPECIAL SOFTWARE WHICH WILL TELL US IF IT WILL FIT YOUR MODEL. WE HAVE TAIL LIGHTS FOR MOST PEUGEOT MODELS BETWEEN 2000 AND 2010. SO EVEN IF THIS PARTICULAR TAIL LIGHT DOESN’T EXACTLY MATCH YOUR PEUGEOT WE MAY HAVE ONE THAT DOES. VISIT PEUGEOTPARTS.COM.AU. 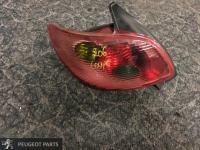 PEUGEOT 206 TAIL LIGHT FOR SALE. THIS TAIL LIGHT WILL FIT A PEUGEOT 206 HATCH. THIS WILL FIT MOST 206 MODELS DATED BETWEEN 2001 AND 2006 WE HAVE TAIL LIGHTS FOR MOST PEUGEOT MODELS BETWEEN 2000 AND 2010. SO EVEN IF THIS PARTICULAR TAIL LIGHT DOESN’T EXACTLY MATCH YOUR PEUGEOT WE MAY HAVE ONE THAT DOES. ALL PARTS SOLD WILL BE DELIVERED TO YOUR DOOR WITHIN 3 WORKING DAYS AND COME WITH A 3-MONTH WARRANTY. VISIT PEUGEOTPARTS.COM.AU. PEUGEOT 206CC WINDOW REGULATOR WITH MOTOR WE HAVE THIS PART FOR MOST PEUGEOT MODELS BETWEEN 2000 AND 2010. ALL PARTS SOLD COME WITH A 3-MONTH WARRANTY FREE DELIVERY AND A GUARANTEED FIT. VISIT PEUGEOTPARTS.COM.AU. 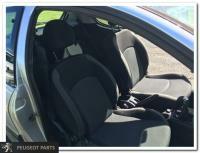 PEUGEOT 206CC QUARTER GLASS WINDOW REG + MOTOR WE HAVE THIS PART FOR MOST PEUGEOT MODELS BETWEEN 2000 AND 2010. ALL PARTS SOLD COME WITH A 3-MONTH WARRANTY FREE DELIVERY AND A GUARANTEED FIT. VISIT PEUGEOTPARTS.COM.AU. PEUGEOT 206 WATER RADIATOR BOTTLE THIS WILL FIT A PEUGEOT 206 OF VARIOUS YEAR MODELS. TO FIND OUT IF IT WILL FIT YOUR 206 GIVE US A CALL. 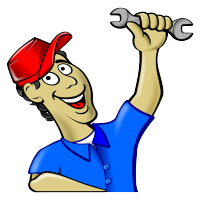 WE HAVE SPECIAL PEUGEOT SOFTWARE WHICH WILL TELL US ACCORDING TO YOUR VIN NUMBER. WE HAVE THIS PART FOR MOST PEUGEOT MODELS BETWEEN 2000 AND 2010. ALL PARTS SOLD COME WITH A 3-MONTH WARRANTY FREE DELIVERY AND A GUARANTEED FIT. VISIT PEUGEOTPARTS.COM.AU. 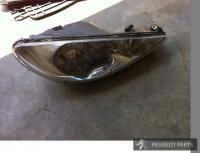 PEUGEOT 206 HEADLIGHT (PASSENGER). THIS HEADLIGHT COMES WITH ALL FITTINGS AND BULBS. JUST PLUG IT IN AND YOU’RE BACK ON THE ROAD. WE HAVE THIS PART FOR MOST PEUGEOT MODELS BETWEEN 2000 AND 2010. ALL PARTS SOLD COME WITH A 3-MONTH WARRANTY FREE DELIVERY AND A GUARANTEED FIT. VISIT PEUGEOTPARTS.COM.AU. 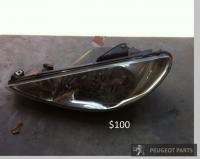 PEUGEOT 206 PASSENGER HEADLIGHT FOR SALE. THIS PASSENGER HEADLIGHT WILL FIT A PEUGEOT 206 WITH THE ENGINE. THIS HEAD LIGHT WILL FIT A RANGE A WIDE RANGE OF PEUGEOT 206 VEHICLES. PLEASE CALL TO FIND OUT IF IT WILL FIT YOUR PARTICULAR YEAR MODEL WE HAVE PASSENGER HEADLIGHTS FOR MOST PEUGEOT MODELS BETWEEN 2000 AND 2010. SO EVEN IF THIS PARTICULAR PASSENGER HEADLIGHT DOESN’T EXACTLY MATCH YOUR PEUGEOT WE MAY HAVE ONE THAT DOES. VISIT PEUGEOTPARTS.COM.AU. PEUGEOT 206 CV JOINT WE HAVE THIS PART FOR MOST PEUGEOT MODELS BETWEEN 2000 AND 2010. ALL PARTS SOLD COME WITH A 3-MONTH WARRANTY FREE DELIVERY AND A GUARANTEED FIT. VISIT PEUGEOTPARTS.COM.AU. PEUGEOT 206 SPEEDO CLUSTER (ALSO KNOWN AS INSTRUMENT CLUSTER) FOR SALE. THIS SPEEDO KNOWN AS INSTRUMENT CLUSTER) WILL FIT A PEUGEOT206HATCH. CAME OUT OF A WORKING CAR. WORKS PERFECTLY. WE HAVE SPEEDOMETRE CLUSTER (ALSO KNOWN AS INSTRUMENT CLUSTER)S FOR MOST PEUGEOT MODELS BETWEEN 2000 AND 2010. 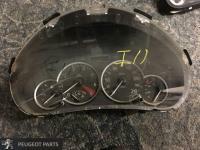 SO EVEN IF THIS PARTICULAR SPEEDOMETRE CLUSTER (ALSO KNOWN AS INSTRUMENT CLUSTER) DOESN’T EXACTLY MATCH YOUR PEUGEOT WE MAY HAVE ONE THAT DOES. VISIT PEUGEOTPARTS.COM.AU. 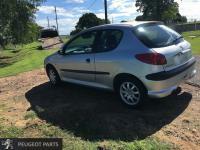 PEUGEOT 206CC ENGINE FOR SALE. THIS ENGINE WILL FIT A PEUGEOT 206CC WITH THE 1.6L ENGINE. GOOD LITTLE ENGINE. WILL FIT STRAIGHT INTO YOUR CONVERTIBLE. WE HAVE ENGINES FOR MOST PEUGEOT MODELS BETWEEN 2000 AND 2010. SO EVEN IF THIS PARTICULAR ENGINE DOESN’T EXACTLY MATCH YOUR PEUGEOT WE MAY HAVE ONE THAT DOES. ALL PARTS SOLD WILL BE DELIVERED TO YOUR DOOR WITHIN 3 WORKING DAYS AND COME WITH A 3-MONTH WARRANTY. VISIT PEUGEOTPARTS.COM.AU. 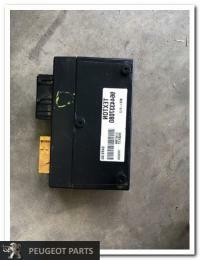 PEUGEOT 206 CC ROOF CONTROL ECU FOR SALE. THIS ROOF CONTROL ECU WILL FIT A PEUGEOT 206 CC CONVERTIBLE WITH THE 4 CYLINDER ENGINE AND GEARBOX. WE HAVE ROOF CONTROL ECUS FOR MOST PEUGEOT MODELS BETWEEN 2000 AND 2010. SO EVEN IF THIS PARTICULAR ROOF CONTROL ECU DOESN’T EXACTLY MATCH YOUR PEUGEOT WE MAY HAVE ONE THAT DOES. VISIT PEUGEOTPARTS.COM.AU. 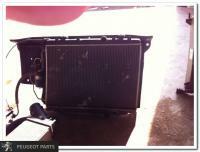 PEUGEOT 206 RADIATOR FOR SALE. 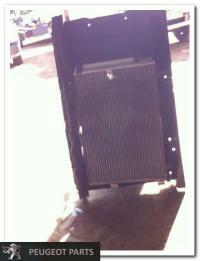 THIS RADIATOR WILL FIT A PEUGEOT 206 CONVERTIBLE WITH THE 1.6 L 4 CYLINDER PETROL ENGINE AND GEARBOX. WE HAVE RADIATORS FOR MOST PEUGEOT MODELS BETWEEN 2000 AND 2010. SO EVEN IF THIS PARTICULAR RADIATOR DOESN’T EXACTLY MATCH YOUR PEUGEOT WE MAY HAVE ONE THAT DOES. VISIT PEUGEOTPARTS.COM.AU. 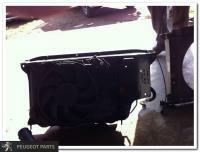 PEUGEOT 206 CC RADIATOR AND SUPPORT FAN FOR SALE. THIS RADIATOR AND SUPPORT FAN WILL FIT A PEUGEOT 206 CC CONVERTIBLE WITH THE 1.6 L 4 CYLINDER PETROL ENGINE AND GEARBOX. WE HAVE RADIATOR AND SUPPORT FANS FOR MOST PEUGEOT MODELS BETWEEN 2000 AND 2010. 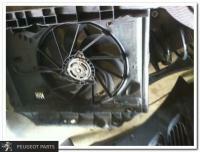 SO EVEN IF THIS PARTICULAR RADIATOR AND SUPPORT FAN DOESN’T EXACTLY MATCH YOUR PEUGEOT WE MAY HAVE ONE THAT DOES. VISIT PEUGEOTPARTS.COM.AU. 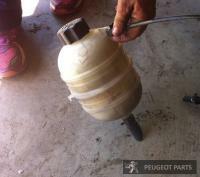 PEUGEOT 206 CC CONDENSOR FOR SALE. THIS CONDENSOR WILL FIT A PEUGEOT 206 CC CONVERTIBLE WITH THE 4 CYLINDERPETROL ENGINE AND GEARBOX. WE HAVE CONDENSORS FOR MOST PEUGEOT MODELS BETWEEN 2000 AND 2010. SO EVEN IF THIS PARTICULAR CONDENSOR DOESN’T EXACTLY MATCH YOUR PEUGEOT WE MAY HAVE ONE THAT DOES. VISIT PEUGEOTPARTS.COM.AU. 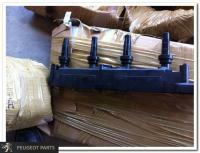 PEUGEOT 206 COIL PACK FOR SALE. THIS COIL PACK WILL FIT A PEUGEOT 206 CONVERTIBLE WITH THE 4 CYLINDER ENGINE AND GEARBOX. 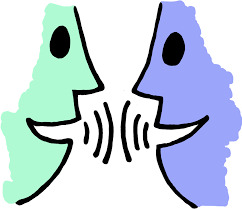 WE HAVE COIL PACKS FOR MOST PEUGEOT MODELS BETWEEN 2000 AND 2010. SO EVEN IF THIS PARTICULAR COIL PACK DOESN’T EXACTLY MATCH YOUR PEUGEOT WE MAY HAVE ONE THAT DOES. VISIT PEUGEOTPARTS.COM.AU. 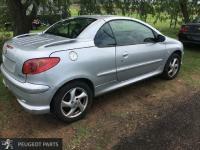 PEUGEOT 206 THERMO FAN FOR SALE. THIS THERMO FAN WILL FIT A PEUGEOT 206 WITH THE 4 CYLINDER ENGINE AND GEARBOX. WE HAVE THERMO FANS FOR MOST PEUGEOT MODELS BETWEEN 2000 AND 2010. SO EVEN IF THIS PARTICULAR THERMO FAN DOESN’T EXACTLY MATCH YOUR PEUGEOT WE MAY HAVE ONE THAT DOES. . VISIT PEUGEOTPARTS.COM.AU.